The Cabinet Office has been forced by the Information Commissioner to release an official version of what could be called an alternative honours list - names of people who rejected honours. The information covers individuals who declined an honour from 1950 to 1999 and have since died. It identifies 287 instances [PDF list], including 89 rejected MBEs, 89 OBEs, 61 CBEs and 27 knighthoods. For some people such honours and the official recognition they represent can be a high point of their lives, but clearly for others they have been unwanted, whether for reasons of principle or otherwise. This official data confirms much that has been reported previously, for example that a serial refuser was the painter L S Lowry, who over a period of 21 years dismissed the offer of an OBE, a CBE, a knighthood, and twice becoming a Companion of Honour. The list also confirms that those who have rejected knighthoods include the actor Robert Morley, the writer Aldous Huxley and the physicist Paul Dirac, while those who dismissed lesser honours include the author Roald Dahl, the painter Francis Bacon and the biologist Francis Crick. Some who accepted one honour previously or later refused another, such as the film director Sir Alfred Hitchcock who had earlier turned down a CBE before he was knighted. The list also discloses some apparently new information, however. 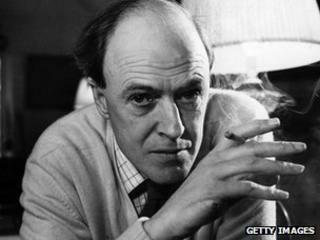 The author and publisher Leonard Woolf declined to be made a Companion of Honour in 1966, the journalist and editor of the New Statesman Kingsley Martin turned down a knighthood in 1965, and the critic and academic F R Leavis rejected a CBE in 1966. As far as I know, these facts (among others in the list) are previously unreported, although I am not an expert on their biographies and could be wrong. The list also identifies many more obscure figures who for whatever reason did not want to accept the honours on offer. The Cabinet Office has been keen to preserve the secrecy which has traditionally surrounded the honours system and at first refused to reveal the list in response to a BBC freedom of information request. The BBC then complained to the Information Commissioner who ruled that it was in the public interest to disclose the information for honours rejected before 2000. The Commissioner argued that disclosing more recent rejections was more likely to undermine the integrity of the honours system and that 2000 was a reasonable if arbitrary cut off point. The data does not cover living individuals since that may constitute personal information protected by the Data Protection Act. And to avoid doubt it is restricted to people where, according to the Cabinet Office, "it is immediately apparent as a matter of fact that a relevant individual is dead". This means that the individuals listed are only a limited proportion of all those who have declined honours. It does nevertheless show that over the decades there have been many individuals who have not wanted to accept a form of recognition which the British state wanted to bestow on them. What we don't know, however, are their various motives.